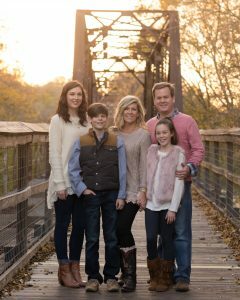 Nathan Ballentine was born in Richland County and, for more than two decades, has chosen to work, live, and raise his family in our community. As Nathan and his wife Karen raise their children, they are committed to protecting the values that have given our community the quality of life that is among the best anywhere. Before his election to the South Carolina House of Representatives in 2004, Nathan had been involved with and supported numerous community groups such as the Lake Murray/Irmo Rotary, various home owners associations, the District Five Government Relations Committee and the Community Leadership Council, the Northwest YMCA Advisory Council and many more. A graduate of Leadership Columbia (1999), Nathan continues his membership in several organizations and often lends a hand to the civic organizations in our area. Nathan quickly got to work for our state when he was elected Vice Chairman of the Medical, Military, Public and Municipal Affairs committee during his freshman year. He worked tirelessly to get the first bill he filed to become law. In just three short months, H.3741 became law and our state (and senior citizens in particular) soon benefitted from an increased focus on geriatric medicine. In just his 2nd year in office, Nathan again focused on healthcare; this time focusing on our young autistic children. Even though H.4351 ultimately died in the Senate; Nathan’s hard work enabled similar legislation to pass the following year. Presently (2018), 45 other states have passed similar legislation to Ryan’s Law after South Carolina became a leader in the country! His first re-election provided an opportunity to push fiscal issues that led to the passage of H.3008 (reduced tax burden on non-profits) and a House Rule change banning hidden earmarks. In 2008, Nathan continued his work with then-Representative Nikki Haley to push for more accountability with On-The-Record Voting. The bill ultimately died in the Senate but not before the House made a rule change and passed the bill with no dissenting votes. During the 2010 session, Nathan’s Campaign Finance Disclosure Bill became law and now provides even more sunshine into the money behind state politics in South Carolina. Finally in 2011, the SC General Assembly passed “On The Record Voting”, it was Governor Nikki Haley’s first bill she signed into law. After serving as Subcommittee Chairman of the House Agricutural and Natural Resources Regulations Committee for two years (2011-2012), he was appointed to serve on the House Labor, Commerce and Industry Committee in 2013. Seeing the stranglehold the current Chairman had on the committee, Nathan and his reform-minded colleagues made a rare challenge to replace the Chairman; but came up short. Not satisfied with seeing how committee work continued to hide and operate under the dicatorship-style of the Chairman, Nathan and his committee supporters mounted another challenge (2016), this time coming up short when the state utility companies made it known that they did not want Nathan and his supporters to change the status-quo and their control of the committee. Nathan and most of his supporters were removed from the committee and, to this day (2018) the current Chairman continues to dominate the committee with little to no input from others. Nathan ultimately was appointed to what many call the most influential committee in the House: Ways and Means. There, Nathan works to draft the state budget with other veteran lawmakers. Nathan won re-election overwhelmingly in 2016 when he defeated current Richland County Councilman Bill Malinowski 84%-16% in the Republican primary. That vote total represented the highest percentage of all Republican officials throughout the entire state. A true testament to Nathan’s drive and focus on People, not Politics. During the 2017-2018 session while serving on the House investigative panel into the SCANA nuclear fiasco, Nathan led the fight for lower energy prices and more energy options for ratepayers. From those battles grew the newly formed SC Energy Caucus – a bipartisan group of legislators that selected Nathan to serve a Co-Chairman. In the summer of 2018, for the first time, Nathan faced two primary opponents for the Republican nomination for House District 71. Again this time, Nathan easily defeated Britton Wolf and Todd Watlington. In that three-way race, Nathan received more than 70% of the votes in Richland and Lexington counties – the voters he’s represented with distinction since 2005. During his time in office, Nathan has served on the Medical, Military, Public and Municipal Affairs Committee; Education and Public Works Committee; Agricultural and Natural Resources Committee; Ways and Means Committee, House Ethics Committee, Joint Transportation Review Screening Committee, House Comprehensive Tax Reform Study Committee; House Utility Ratepayer Protection Committee; and others. In addition to being a Majority Whip for the Republican Caucus, Nathan has been named a Friend of the Taxpayer and Taxpayer Hero numerous times. Nathan regularly receives high grades from the SC Chamber of Commerce, SC Club for Growth and NRA, as well as SC Citizens for Life, the Conservation Voters of South Carolina and other business and industry groups. Nathan has been endorsed by a variety of many organizations during his time in office from the SC Chamber of Commerce, National Rifle Association, SC Citizens for Life, SC Club for Growth, Palmetto Family Alliance and the Conversation Voters of SC. Most importantly he is regularly endorsed by hundreds of families, men and women in our community! Family – Nathan and his wife Karen are members of Riverland Hills Baptist Church and have three children – Sarah Buck (22), J.C. (14), and Emma (13). Did you know? For years, Nathan returned his legislative salary to local community groups and organizations and in 2006 designated funds specifically to scholarships for deserving seniors in our community. Once Sarah got to high school, Nathan made the decision to stop his scholarship funding to avoid any “conflict of interest”; but he and Karen continue to support charities, organization, and even church planting in Belize Click here for a partial list.